Makeshift Press - Reclaiming the obscure! We are an independent publishing company specializing in rescuing obscure works of fiction and non-fiction from slipping further away from a potential audience. 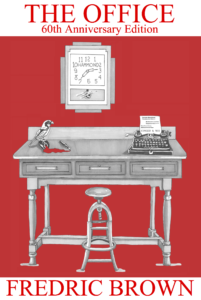 In October 2018, Makeshift Press brought acclaimed science fiction and mystery writer Fredric Brown's semi-autobiographical novel The Office back into print. Available in print and ebook, this special 60th Anniversary Edition includes a newly illustrated cover, a list of Brown works currently in print, and an afterword by Brown biographer Jack Seabrook. If you're a bibliophile aware of a title (public domain or otherwise) that has lapsed into obscurity, and you would like to see it become readily available, please contact us at ajhowells@makshiftpress.org or find us on Twitter @MakeshiftPress. 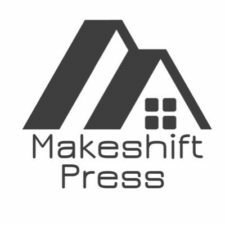 Makeshift Press (MP) provides a hassle-free platform for independent authors. 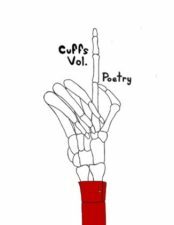 Check out Cuffs Volume 1: Poetry from MP editor A. J. Howells.